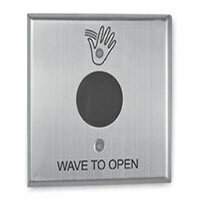 A simple push-button, is the most cost effective way to control High Speed Door the door. 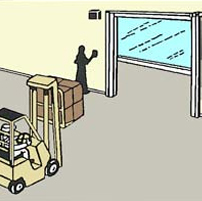 An invisible beam is projected across the doorway, when traffic passes through and breaks the beam, the doors opens. 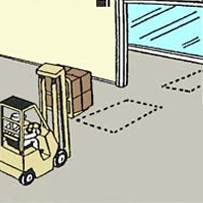 Inductive loops are cables in the concrete which detect the fork lift and automatically open the high speed door. 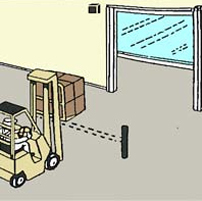 A remote control transmitter can be fixed to a fork lift, or kept in possession of an authorized operator. 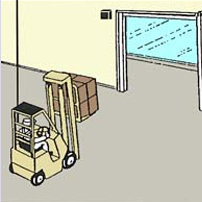 A cord hanging from the ceiling can be operated by a fork lift without dismounting. 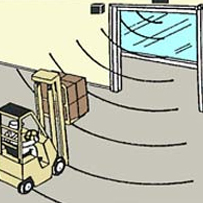 Advanced motion detectors which will: only open the door when; traffic is approaching the High Speed Door. 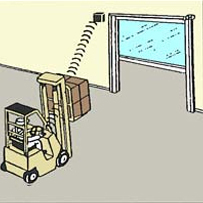 A sensor that detects the presence and motion of a hand being swiped in front of the sensor opens the Roll Fast Door with touching a switch. Ideal for application where hygiene is priority. 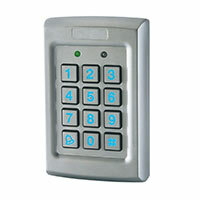 An electronic security Key-Pad can be installed to only allow access to authorized persons.